In May, our song ‘When Times Were Good‘ off of the Good Sponge Sampler Vol. 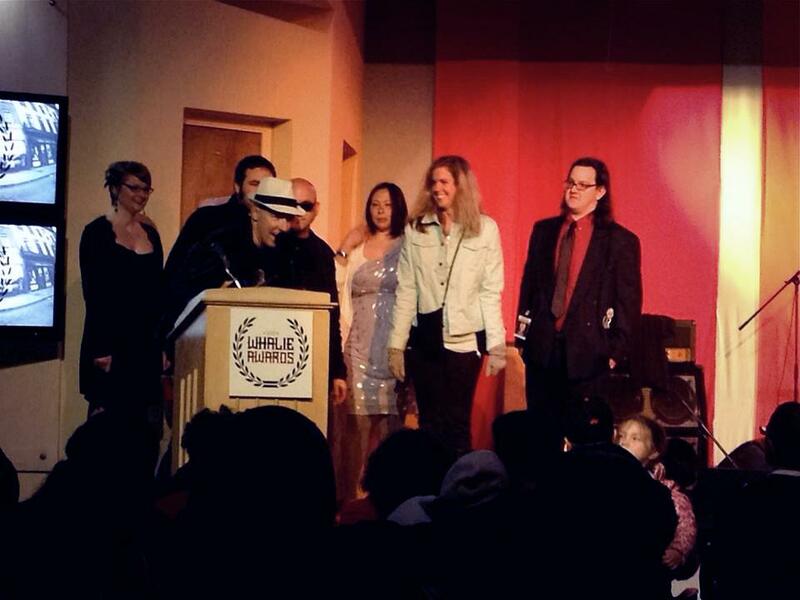 II won a Whalie Award for ‘Best Blues/Country Rock Performance’ at the 2013 Whalie Awards (see photo above of us accepting our award). The Good Sponge Sampler Vol. II also won an award for ‘American Album of the Year’ which made Ben pretty happy… he co-produced the album with Carl Franklin. Last week, the Rivergods got to head out to Block Island, RI to kick off the 13th annual Block Island Music Festival with some of our friends (Vince Thompson, the Hoolios, the Macleans, Daphne Martin and Black Marmot) and yes, a good time was had by all… mark it in your summer calendar for next year: the second week in June means great music in Block Island. On Saturday, June 22, we will put in a short appearance at Summer Pops in Westerly, our third year appearing there in the pre-show festivities. Joining us for their own sets will be our good friends The Sue Menhart Band and the Franklin Brothers! Summer Pops has been a huge, free outdoor extravaganza in Westerly, RI for over 30 years… bring a blanket and enjoy the show. Preshow starts around 6:15pm. More info here. On Friday, June 28, we return to one of most favorite venues (and restaurants!) Captain Scott’s Lobster Dock. We’ll be putting in a couple of sets starting around 6:30pm… great food, great people, no cover… and it’s outdoors and by the water. What’s not to like? More info here. 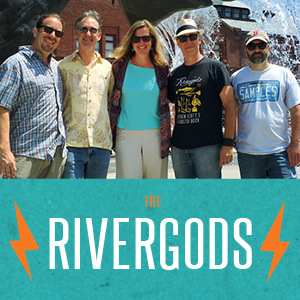 The following night, Saturday, June 29, Rivergods’ singer Nancy Parent will put in a set with The Hoolios and Dogbite at the first-ever ‘Music in the Meadow’ concert at the Connecticut College Arboretum. $10 cover, B.Y.O.B. (bring your own blanket!) and picnic… more info here. On Saturday, July 20, the Rivergods return to the beautiful Hygienic Art Park in New London, playing with a couple of great New Haven acts… the Proud Flesh, and the Ivory Bills, featuring our good friend James Velvet. Showtime is 7:00pm, more details here. Lastly, our annual ‘ice cream for dinner’ show at Michael’s Dairy in New London will take place Friday, August 16 at 6:30pm. Bring the fam! More info. Thanks, all… enjoy your summer! We’ll see you around.